The nearly-empty slot section of the Trump Taj Mahal, Aug. 16, 2016. Voters in New Jersey are strong opposers of the state's proposal to expand its casinos, according to one new poll. 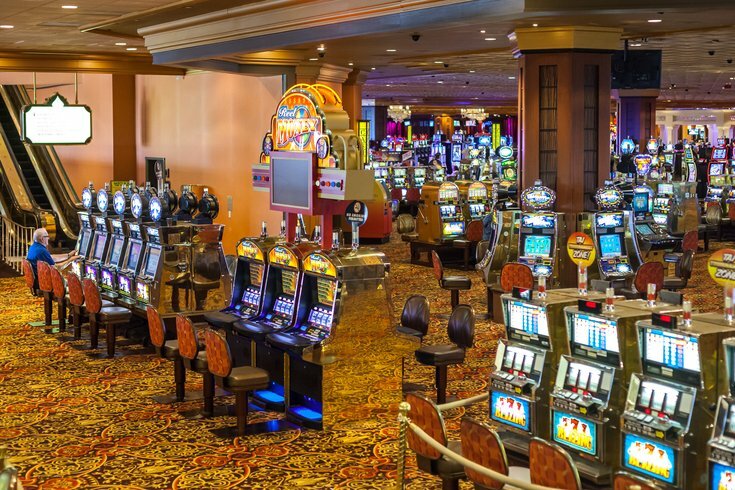 The survey by Stockton University released Friday found that an overwhelming 71 percent of New Jerseyans said they're against a potential amendment that would allow for two new casinos to be built 72 miles outside of Atlantic City. Twenty-four percent said they support the expansion while five percent said that they were undecided. The strong, negative response may foreshadow what's to come Tuesday when the state's population will be asked to vote on the constitutional amendment. The poll also found that 63 percent are for the increased gas tax that will support New Jersey's transportation projects while 33 percent were opposed. Four percent said they weren't sure. New Jersey Gov. Chris Christie signed a tax hike into law that increased gas by 23 cents per gallon in October. The new price became effective Nov. 1 and gave New Jersey the sixth-highest gas tax where it was once the second lowest. Clinton also leads Trump 51 to 40 percent in the state, according to the poll. "New Jersey is a blue state, and it doesn't appear that the latest headlines have shaken Clinton's base of Democratic support," said Sharon Schulman, executive director of the Hughes Center in a news release. The poll was conducted with more than 670 New Jerseyans who said they were likely voters via telephone between Oct. 27 until Nov. 2.